It’s a season of revelations at Edwiser. And we’re back at doing what we’re best at. Something we’ve been doing for a long time now. 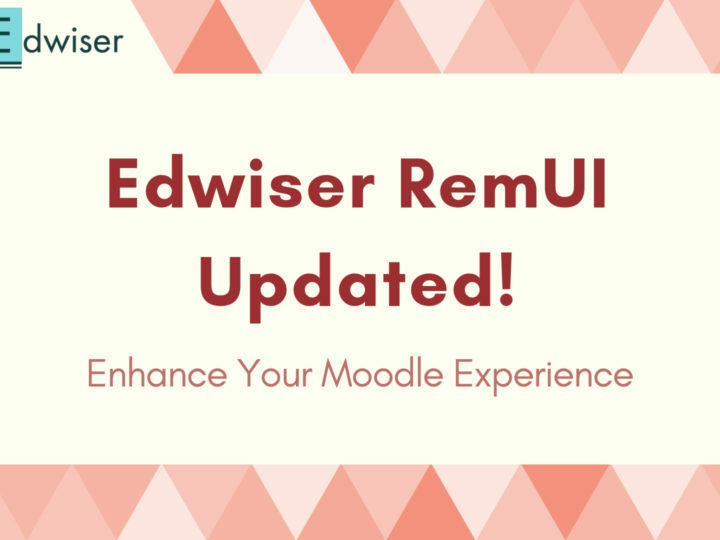 Making your Moodle experience feature-rich, yet simple, with our flagship offering: Edwiser RemUI. Now, with Course Formats in the picture, the party’s gotten better. Recently, we released an update of Edwiser RemUI, which offered you the scope of using 6 Moodle Course Formats with Edwiser RemUI Theme. Not just that, we also introduced Drag and Drop functionality for Dashboard Customization. After a heartwarming response to our previous update, we took a call, experimented and improvised even more! And like every other time, we’re about to rain surprises on you. Anyway, this has become an everyday thing with us, hasn’t it? With a total of three surprises lined up for you, let’s get started with the first! Edwiser RemUI Course Formats Plugin is Out! It’s finally time, to introduce a brand new offering. 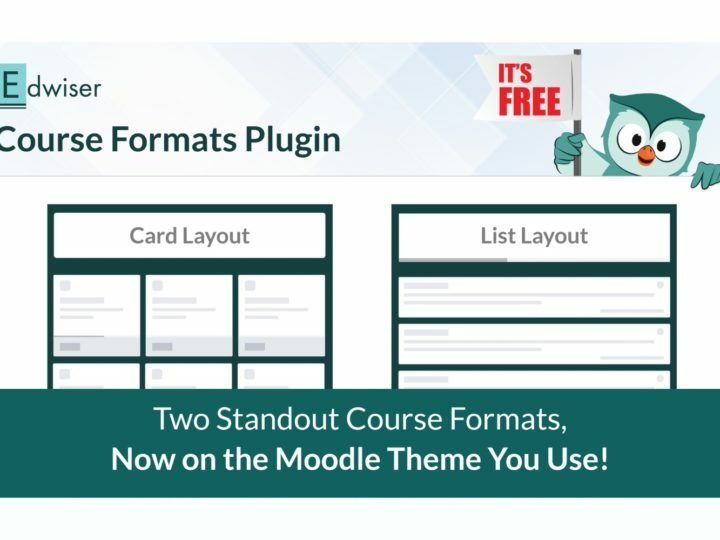 An all-in-one plugin, using which, you can use 2 Course Formats. Most noteworthy, these are our own Course Formats, built keeping You in mind. All you have to make sure is that your Edwiser RemUI is v 3.4 or above! P.S. We’ll be coming up with an update for Edwiser RemUI v3.3 as well, which will be rolled out in coming time. Coming down to the essentials, what does this Plugin have in store for you? Here’s an Overview. Did we just hear Drum-rolls? After all, this new plugin features one of your most favorite Course Formats: Edwiser RemUI Course Format. That too a lot more refined, and better. Moreover, it has a new name now: Edwiser RemUI List Format! Now that’s quite power-packed for a start, isn’t it! Here’s a GIF for you. Get a glimpse of Edwiser RemUI List Format. Brand New Course Format Now Out! Thinking we’re done already? Not so soon. That’s not how we roll. So..What’s more? We worked and came up with another Brand New Course Format of our own: Edwiser RemUI Card Format!! With this layout, your users can view all the topics in the form of Cards. Furthermore, Edwiser RemUI Card Format displays the activities of each section, listed down on the Cards itself. As Easy as Pie. A Quick Look. Something for Desserts? It has been a privilege and pleasure for us, to be able to contribute value to you. The User Tour which we used for Edwiser RemUI Demo, was so warmly received by you, we decided to make the same User Tour available for your Moodle as well. As we at Edwiser approach the finish line every time, the race keeps getting bigger and better. After all, we’ve got a thing for challenges. The consequence always the same: Improvisation and Innovation. That being said, why not bring this grand revelation to a close, on a high note? The Edwiser RemUI Course Formats Plugin is available only to RemUI Users! That too for Free!! 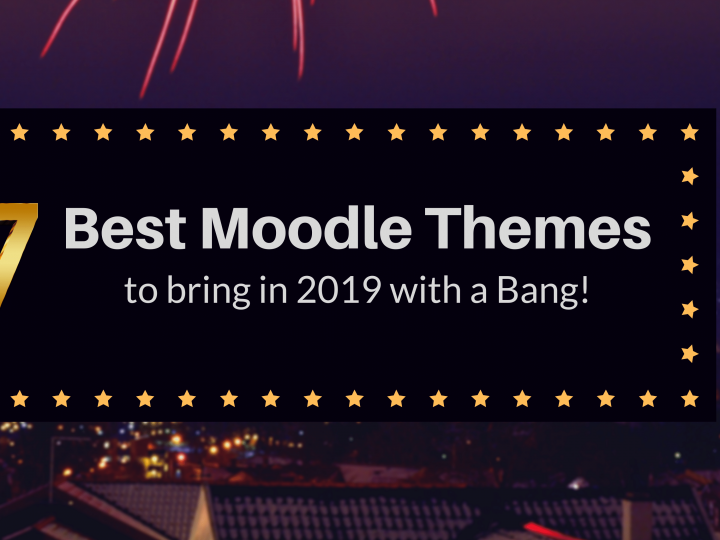 Before you go ahead and Update your Moodle, we’d like to mention ‘Moodle Tips and Tricks‘, a Facebook group of like-minded Moodlers. 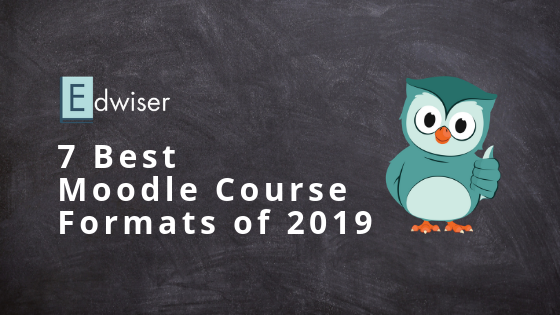 We’d like you to give your Feedback and Suggestions on Edwiser RemUI Course Formats Plugin here, also dive into in-depth discussions and knowledge-sharing with fellow Moodlers, and have a Moodle-time. P.S. To update your Moodle to the latest Edwiser RemUI Version and for instructions to use Edwiser RemUI Course Formats Plugin, please refer Documentation here. To use this plugin, I’d advise you to update your Edwiser RemUI first, and then install the Edwiser RemUI Course Formats Plugin. RemUI is a great theme and I can’t wait to try out the Cards layout. Thanks for the hard work on this fantastic product! Looking forward to you trying out the all-new Cards layout! Just trying the new List Layout, great that it brings back the course look and feel from the previous RemUI editions. One request, would it be possible to add a feature so that Moodle remembers the collapsed/expanded status of each topic between sessions? This functionality exists in other course formats (such as this one: format_collapsibletopics which just adds that function, or this one: format_topcoll which has other options too). This would be a really handy additional feature! We’d like to thank you for your request. This looks like something I’d definitely use. If you would have any feedback or suggestions after trying it out, it’d be great if you could share those here-> https://www.facebook.com/groups/MoodleTipsNTricks. It’s a global community of like-minded Moodlers where discussions and knowledge-sharing are encouraged. Hi, Can we change the background color of these cards? currently, it is white, can we change that to some color or an image? The background color of the cards can be changed via Custom CSS Code. Do let us know your requirement regarding the same.